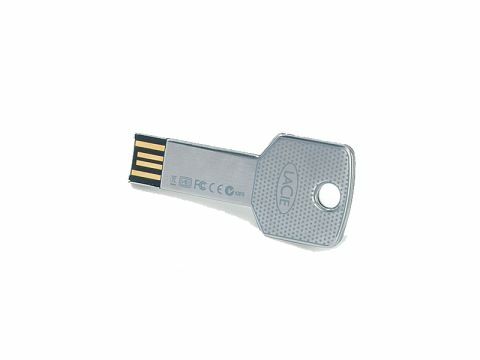 We never settled on a generic name for USB memory sticks, but because many of us keep them on a keyring, and 'key drives' is one of the candidate names, we're charmed by the latest line from LaCie, the iamaKey 4GB. There are three different models; this version is sleek and has a scratch-resistant connector. As for the other models, the itsaKey is a bit chunkier, and the PassKey has no memory of its own, but a slot for a microSD card. The prices, capacities and speeds are great. LaCie has produced a unique design that has us reaching for our wallet.